NC two-head vertical-type cross scribing machine - SHIRAI TECH, LIMITED. 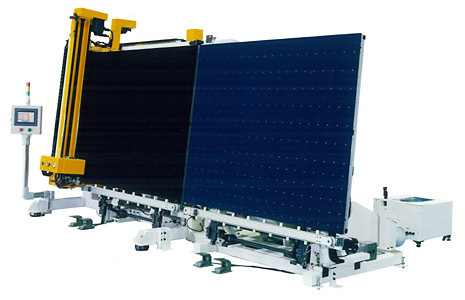 This machine was developed for scribing relatively large mother glass panels. The double-axial cutters are automatically aligned by numerical-control, achieving a scribing accuracy within ±0.2mm. Also, this machine has been designed to stand upright to reduce the footprint size of the machine. from G-6 to G-10, Others require separate discussions.